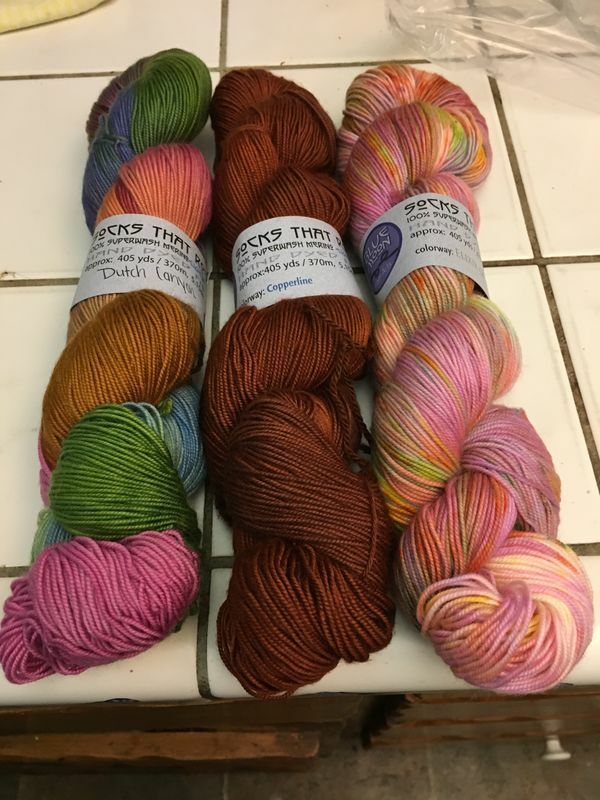 I finally received my gorgeous yarn from Socks that Rock. I adore the company and the colors are breathtaking. Now, which shawl...it was bought for one of Stephen Westâs. Wow, gorgeous colors! I hope you will show us the shawl when it’s done. Will look forward to seeing a picture of the shawl that you make. The yarn is beautiful. Love your yarn ! Can’t wait to see the shawl ! Never heard of the company - that yarn is just gorgeous - please do post pictures of your finished garment!! Those colors are gorgeous. Please post your finished project. We will all be waiting.